The past few days have been a whirlwind of new information about Susan Cox Powell’s case…with the police search in Ely, Nevada; the “Honk and Wave campaign” in Utah and Washington to raise awareness of Susan; and the confrontation between Cox and Powell families in Puyallup, Washington on Saturday. Sunday night, news broke about Josh Powell’s father, Steve Powell, having “feelings” for Susan—his own daughter-in-law. (Click here for the KUTV 2 news report, and here for an article by Isabelle Zehnder.) I’ve been monitoring Facebook, Twitter, and other places online and have seen many comments on this issue by emotional and outraged people on both sides. I wanted to explain WHY I personally decided to finally break my silence and talk about these new allegations against Steve Powell. Josh and Susan Powell moved to Utah 7 years ago and we became friends immediately. Susan and I became particularly close, and were together several times a week. 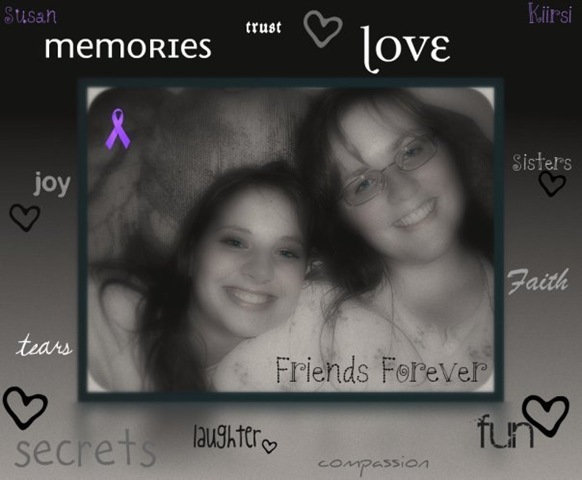 We spent hours upon hours talking, laughing, and sharing many things. When I had known Susan a few months, she began talking to me about why it is that she and Josh decided to move to Utah. There were several factors, she originally said…a better job…a new start…a chance to get to know Josh’s sister Jennifer Graves, and Josh’s mother, Teri Powell, better. Then one day she told me that a very big part of the reason she and Josh moved to Utah was to get away from Josh’s father, Steve Powell. I was very surprised by this. Yes, I knew many people didn’t like or get along with their in-laws. But when Susan talked about Steve Powell, she expressed extreme disgust and even feelings approaching hatred. Then she told me WHY she felt this way. She said that early in her marriage to Josh, when they were still newlyweds, they wanted to save money to get their own apartment. So they moved in for a short time with Steve Powell. At the time, there wasn’t an extra bedroom for them. So they converted a dining room into their bedroom and hung a curtain over the opening for privacy. Shortly after moving in, Susan began to feel very strange around Steve Powell. She said that she felt like her father-in-law was looking at her inappropriately—and once she even caught him trying to watch her get dressed one day. She tried to give her new father-in-law the benefit of the doubt, but the weird feelings and things continued, and one day it culminated in a very inappropriate episode where Steve Powell tried to kiss her. This was not a “family” kiss. This was a romantic kiss. Susan was so creeped out, disgusted and horrified that she told Josh “That’s it, we’re moving out. NOW.” And soon after that, they did. I was, of course, shocked, horrified and disgusted to hear about this. “That’s not all,” Susan said. “There’s more.” She told me that after living in Utah a couple of years, one day she received a package in the mail. Steve Powell had sent Susan several pictures of Susan’s favorite actor. At first, Susan thought this was actually a nice gesture on the part of Steve Powell. She wondered if he had changed, and maybe become a kinder person. Then she saw what was sitting in the middle of the stack of pictures: several pictures of naked men. She also told me several times that she did not feel comfortable around Steve, and she did not want her little boys, Charlie and Braden, to ever be alone with him. She did not enjoy visiting Steve Powell when she and Josh went to Washington to visit family, but she endured it when she had to because she wanted Josh to be able to visit his family. So, the question on anyone’s mind who has taken the time to read all this is: why now? Why did you not come forward with this in the very beginning? So why make them public now? From the beginning of this case, Susan’s father, Chuck Cox, personally asked me and everyone else to please not point fingers at Josh Powell. He wanted us to focus on FINDING SUSAN and not accusations or blame. Through the past 20 months, things have changed a little bit as more and more information has come out. But one thing has stayed the same: Chuck still has asked us to focus completely on finding Susan. The only thing he has accused Josh of in Susan’s disappearance is not cooperating with police. I have done the same. Josh was my friend, too. I have never said he is “guilty” or that he “made Susan disappear” or anything like that. I have only said, “Josh, if you are innocent, PLEASE TALK TO POLICE and clear your name!” I told Josh this personally, to his face, for the last time in February 2010 before he cut off all contact with me and my family. Meanwhile, Josh and Steve Powell have used their website, SusanPowell.org, as a forum to slander, abuse, attack and demean not only Susan but Chuck and Judy Cox, Josh’s own sister Jennifer Graves, the LDS church Susan loved and belonged to, and many other people who love and care about Susan. Still, in the face of all this, Chuck Cox has still told us: “Focus on finding Susan.” He has consistently taken the higher road and refused to stoop to the level of Josh and Steve Powell. Yet in recent weeks, the level of abuse against Susan by her own husband and father-in-law has escalated and reached new lows. 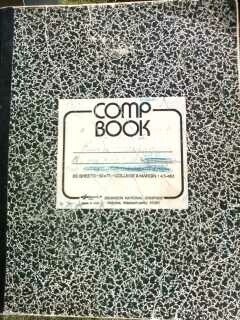 They say they have several volumes of Susan’s personal journals from when Susan was 8 years old all the way to age 20. Steve Powell has gone on record on the national news, on the Today show and others, to say that he has personally read all 2,000 pages of Susan’s childhood journals and plans to transcribe them and post them online for the world to see. He insists that Susan was “promiscuous” and “suicidal” and that these, her childhood and teenage journal writings, prove that she “ran off” with another man. My feelings about the absolute immorality and depravity of such an act—reading a teenage girl’s journals and planning to publish them to the world without her permission or knowledge—are no secret. It is one of the most filthy, evil, cruel violations I have ever witnessed. And I will not stand by and see my dear friend’s privacy, honor, personal feelings, and life violated in this evil and debase way. I did not want to expose what Susan told me in deep confidence about her father-in-law. But enough is enough. Susan is missing. She was ripped away from her children, her parents, her family, her life. She has no say in what her so-called “family of marriage” is doing to her, her reputation, her children, and her possessions. But I will speak up for her now and forever in not allowing this evil to go forward unchallenged. When I was a child, I kept a journal infrequently. I’d write a few sentences…nothing too exciting. By the time I turned 12 I started writing more often, and my teenage years got even more frequent entries. These journal entries are silly…fluffy…embarrassing…and hilarious to read now, looking back. They’re full of crushes on boys; my hopes and fears; incidents from my daily life, both mundane and earth-shattering. They also show some things I was truly sad about. I wrote about them as I wanted, giving full sway to my feelings because, hey, these were totally private, right? No one would EVER read them…unless I gave my kids permission to read them when they were old enough. This seems like a basic truth, or right, that everyone on earth should have: their own right to privacy in their thoughts and feelings…their private thoughts, kept in a private journal, diary, or notebook, contained safely away from prying eyes, not something that anyone else should ever see unless the writer chooses to share. 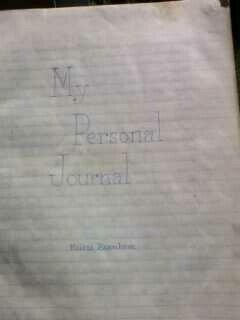 My friend Susan Cox Powell kept many journals during her teenage years and beyond. She filled volumes with her private thoughts, her private feelings. Her hopes, her dreams…probably a lot of angst…teenage melodrama, fun, anger. She felt free to vent her feelings and thoughts in those journals, secure in the knowledge that they were safe to her. She may have at some future point chosen to share those journals with her sons, but she certainly never read even one page of those journals to her closest friends or even her family. Now Susan is gone: missing, disappeared, snatched from her boys, her parents and sisters, her friends, her life. She has been missing for 19 months without a trace. Susan’s parents have nothing left of her but memories and photographs. They don’t even have her sons—Susan’s husband Josh has denied them access to even visit their own grandsons. Who has Susan’s journals? Is it her parents, who respected Susan’s right to privacy and never read her journals? NO. Susan’s private journals—the diaries of a teen girl—are in the hands of the Josh and Steve Powell family. Do the Powells respect the privacy and sanctity of her journals? Do they offer, out of the kindness of their hearts, to give these journals to the Cox family for safekeeping? Do they keep them stored away safely, so her sons could read them someday and get to know their mother, who was ripped away from them? NO. The Powells READ Susan’s journals. Her father-in-law, Steve Powell—a man who should be trying to find Susan, and who should be cooperating with the police, and urging his son, Josh Powell, to cooperate with police—has gone on national television, not once, but twice, most recently this morning on the NBC Today show—to announce to the world that he has not only READ all of Susan’s private teenage journals, but he is planning to publish them on a new website, starting this week. What kind of a man does this? What kind of a person not only violates the sacred privacy of a young girl by reading her thoughts…thoughts that she wrote down before she ever met Josh, his father, or anyone in his family…but also decides he’s going to publish her private thoughts to the entire world? Susan is gone. She was taken away from all she holds dear. Her family and friends are heartbroken, and her sons are without their mother. She is not here to be her own voice, to stand up in defense of her thoughts, her feelings, her past actions, her life. This is so wrong, on every level. This is an act of total depravity. And I hope the people of this country and this world will realize this and stand up for Susan, for truth, for justice. Tell your friends and everyone you know in any way you can—in person, through blogs, Facebook, Twitter–that Susan Cox Powell is still missing, that she has been taken away from her sons, that her life is not the Powell’s to lay open and expose every detail of her teen years. Those things are Susan’s alone to reveal, and she is not here to do it. Stand up for Susan. And please, pray for her, her sons Charlie and Braden, and the Cox family. Truth WILL prevail. Justice WILL be done. And there is a loving God in heaven who will not stand by and watch these immoral, cruel acts to be perpetrated over and over on the innocent.